Vancouver, B.C. – Hyperwallet Systems Inc. (“Hyperwallet”), a leading provider of global payment solutions, today announced that Isagenix, one of the world’s top health-oriented network marketing firms, selected Hyperwallet to enable an international, multi-currency commission distribution solution for their organization. Isagenix turned to Hyperwallet to deliver a cost-effective, secure and 100% electronic global commission solution called IsaWallet (www.isawallet.com). 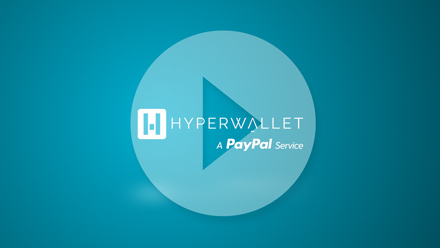 IsaWallet is powered by Hyperwallet’s brandable, customizable payment platform and turnkey e-wallet solutions. With IsaWallet, Hyperwallet is enabling Isagenix to send instant, electronic commission payments to their associates worldwide via the Internet. Once their commission is received, associates can sweep their payments to a local bank account in their native currency, providing quick and convenient access to their funds. “We required a solution that would allow us to significantly reduce check production and debit card distribution costs, improve the payment experience for our associates, and help us drive additional business in international markets; I’m happy to report that Hyperwallet has enabled us to do just that,” states Te Brugge. Since its inception in March 2002, Isagenix’s mission has been to search the world and share the discoveries in science and nature that will make a difference in the health, wealth, and happiness of humankind. In just a few short years, Isagenix is now one of the fastest-growing network marketing companies in North America with combined sales approaching $300 million.